This article, like many others, was first published exclusively for subscribers, 3 hours before everyone else got to read it. Mishra, a 2008 HNLU Raipur graduate, had begun his career at Desai & Diwanji’s Gurgaon office (during the tenure of former partner Amit Khansaheb there). In 2013, he moved with Khansaheb to BMR Advisors’ best-friend consultancy BMR Legal, and followed him to Shardul Amarchand Mangaldas in 2017. He had left SAM in December 2018, according to his Linked-in profile. 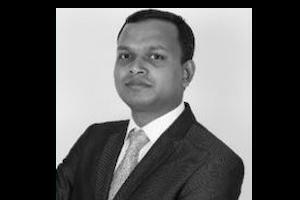 Outside of its home base in Bangalore, Themis had started a Mumbai office in October 2016, under associate partner Siddharth Manchanda, who had joined from Bharucha & Partners where he was a senior associate. Themis has completed at least 20 venture capital / PE deals in 2018, according to our deals league table (of which 10 were clocked by Manchanda in Mumbai). The firm currently has a total of five partners. We have reached out to Themis and Mishra for comment. Partner equivalent consultant??? What kind of role is that. Isn't it more a forceful jump.. Does Themis do any non Sequoia work? Yes they do. Sadly most of their deals dont get reported (some silly management concerns). Venture Capital Advisory Powerhouse. Cute! I had the pleasure of working with Vinayak a few years back in a transaction where the third firm involved was Themis (acting for Sequoia). He is a fine gentleman to work with and I wish him the very best in this new role. Congrats Vinayak! I have come across him on transactions and he was always very collegial and professional in high stress situations. The complicated transaction was made easier to work on with his co-operation. All the best Vinayak! All the best Vinayak. A great person to learn from and work with. Themis is lucky to grab him. Finally. I have worked against him on a transaction and since then we have been good friend. Great guy with solid knowledge of PE/VC deals.